Sebastian Thrun helped spawn the massive open online course (MOOC) movement first as a professor at Stanford and now through his own start-up, Udacity, which has offered a total of 14 classes on computer science and other topics since launching earlier this year. Now, buzzy VC firm Andreessen Horowitz is leading a Series B round for the company, investing $15 million along with previous investors Charles River Ventures and Steve Blank. 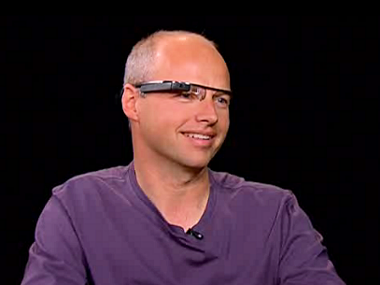 In an interview, Thrun described Udacity as being in the early, experimental stages. “This is mostly an exercise to really understand how to bring education to scale at an affordable price point,” he said. In these nine short months, Palo Alto, Calif.-based Udacity has actually already found itself a business model. It started out matching students and employers — and has placed about 20 people in new jobs, total. But what really seems to be working is sponsored courses, Thrun said. So, for instance, Google will offer an HTML5 game development course co-taught by two of its employees. HTML5 game development is a skill that’s useful in industry but not deeply academic, and something slow-moving universities are unlikely to offer for a while, Thrun noted. On the job-placement front, another unexpected benefit of holding courses online is the potential to watch discussion forums to find students who are helping others. These kind of soft skills are more valued in industry than academia, Thrun noted. “In an academic environment, collaboration is called cheating,” he said. If MOOCs have been controversial, it’s because some people don’t like the thought of an online equivalent replacing the existing university system — the state of Minnesota recently said it would crack down on residents’ access to Coursera. It has since reconsidered. Levine, who is joining the Udacity board, is usually Andreessen Horowitz’s enterprise software partner, but he also has a strong interest in higher education coming from his time teaching business classes at Stanford and MIT, he said. Udacity says it has signed up 753,000 students so far. Though many people take just one class, two of its most active participants have completed 12 of its courses — which is a very full load in just nine months! Thrun knows something about ambitious commitments. He is also the father of the autonomous car project at Google, and works on other crazy projects like the wearable Google Glass. But Udacity is his current focus, Thrun said.